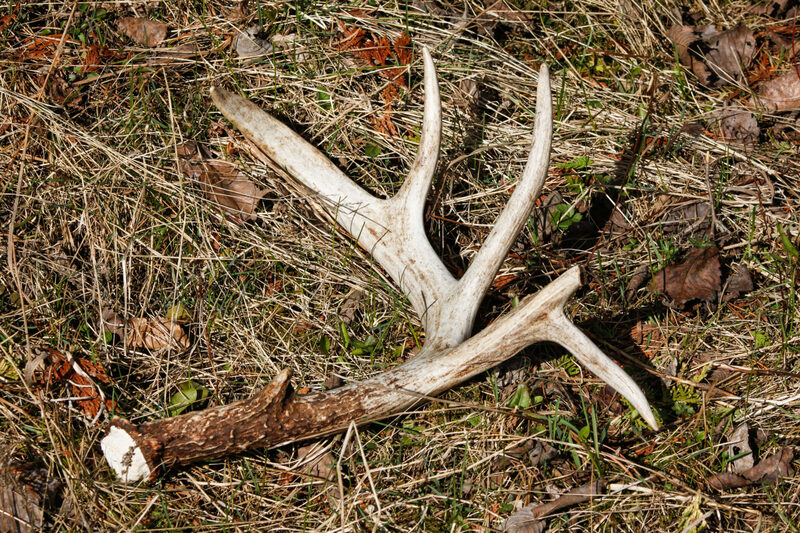 Shed hunting is an addictive hobby that rewards the treasure hunter with a valuable keepsake. For those who hunt, finding the antler of a buck you’ve had your sights on – or one that has eluded the trail camera – can be the next best thing to shooting it. Generally, whitetail bucks shed their antlers in January or February. Finding these ‘sheds’ is a matter of putting in the time and effort to cover ground, concentrating on winter yards, bedding areas, food sources, and trails. Whitetail sheds are measured the same way that a normal rack is, except that no spread credit is given and no deductions for side-to-side differences are made. 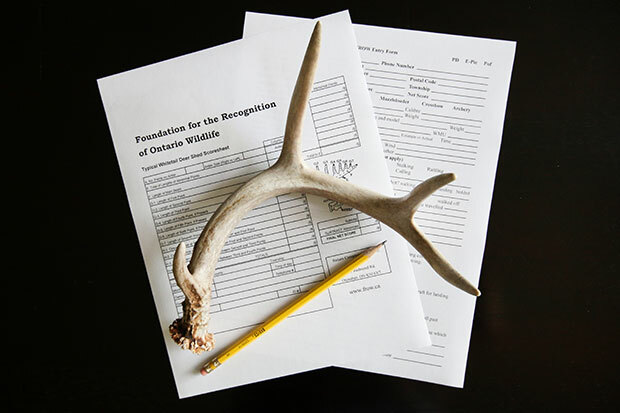 Trophy entries can be submitted to be included in FROW’s Big Game Records of Ontario. In order to qualify, the minimum score for a typical deer shed is 60 inches while 70 inches is needed for inclusion in the non-typical category. Get details and official rules on the FROW website. Sheds are only measured as singles and are scored under two separate categories — typical and non-typical. Abnormal points are deducted off the gross score of a typical shed, while they are added to the gross score of a non-typical shed. “When getting started, you must first ascertain whether there are any non-typical points. 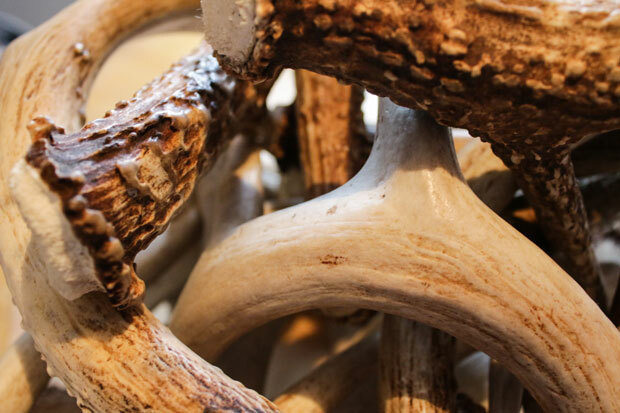 This will determine if the antler should be scored as a typical or non-typical shed,” Terry Merkley, an official measurer with the Foundation For The Recognition of Ontario Wildlife (FROW) explains. Tools can be ordered online through outdoor retailers or Boone and Crockett, or can often be found in your local hardware store. For official scoring purposes, approved devices must be used. Do you have a giant shed antler? Currently, the typical shed record belongs to William Shields with a 2006 monster whitetail antler that measured 89-0/8 inches. In the non-typical category, Rick Stewart holds the title with a 2008 shed that measured 108-5/8 inches. Give shed scoring a try and see how your own antlers measure up. The next one you find on the forest floor may potentially be a new Ontario record.